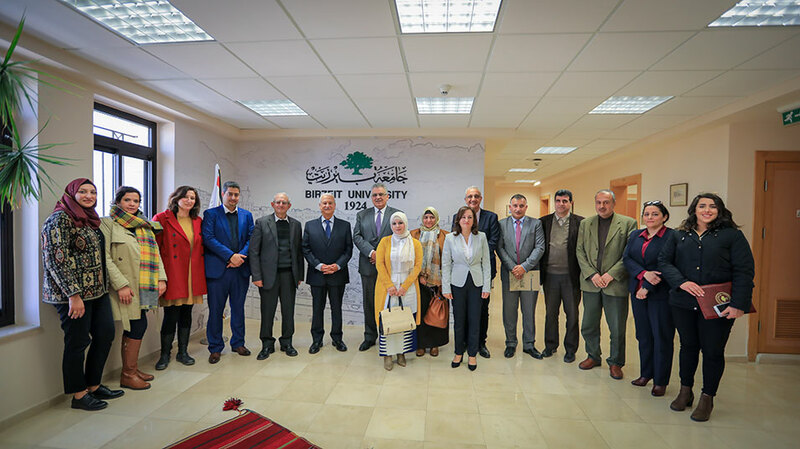 Students at the French Language Department will now have the opportunity to practice the language and communication skills they learned in the classroom in real-world contexts, after a Memorandum of Understanding has been signed between Birzeit University and the Palestinian Water Authority. Through the agreement, French language students will be able to practice French as a foreign language and to enhance their practical, legal and administrative terminology, enabling them to interact with French delegations at events and conferences hosted by the Water Authority. The students will also learn how to write proposals and communicate with the authority’s French-language donors and visitors. President of Birzeit University Abdullatif Abuhijleh and Head of the Water Authority Mazen Ghuneim signed the agreement. Abuhijleh highlighted that foreign-language knowledge augments professional competency in any field. Therefore, according to Abuhijleh, these new training opportunities offered by the Water Authority benefit all Birzeit University students who wish to develop their proficiencies in the French language. He also emphasized the importance of forging alliances with community and institutional partners that support the mission of the university. Ghuneim stated that the Water Authority seeks to maintain a solid relationship between the governmental and academic sector, as such relations strongly contribute to sustainable development efforts and to building solid Palestinian institutions in all sectors. 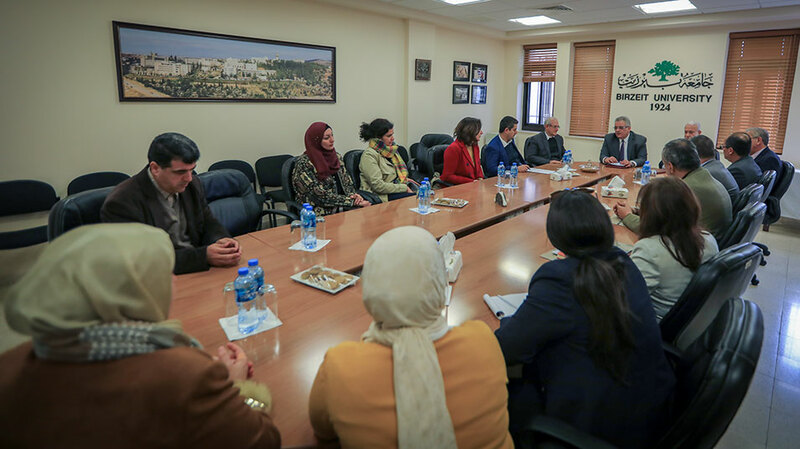 He explained that the authority believes in the power of the younger generation in decision making and in finding creative and innovative solutions to solve Palestinian’s most pressing challenges, especially in the water sector. Ghuneim hailed the strong ties between the university and the authority that have been deepened by a number of agreements such as an agreement with the University of Sardinia to create a research model for the use of zeolite in wastewater treatment, and an agreement with the Representative Office of Austria in Ramallah that made a generous contribution to support research and fund equipment to benefit Birzeit’s Institute of Water and Environmental Studies.